Which bride doesn’t want to look the most gorgeous of all women in the world on her wedding day? Every bride wants! However, the question is how to do that. Surely a photographer knows that well. Here’s a leading female wedding photographer, Annabel, sharing valuable tips with our would-be brides on how to look the most beautiful in their wedding photos. Less smiley faces are trending today in wedding photos; but, by not smiling, you may look as if you don’t want to be there. If you don’t want that to happen, learn to smile with your eyes. This will help you avoid looking wilted and at the same time, looking stylish. Discuss with your photographer too while choosing the right type of makeup for looking beautiful even in photos as in real life. The reason for this is the camera can show unwanted details which may make you look silly! For example, oranges or yellows are turned to be something else in your photos, e.g. carroty! Also glitter may look more like sweat in photos. So, choose makeup considering looking photogenic. If you are wearing a bridal dress, shoes and other accessories that are uncomfortable, it’s hard to look beautiful in your photos because you will look tired. Your bridal dress and all other things should be beautiful but they should be comfortable too so as to look relaxed and gorgeous in the photos. Most bridal gowns are sleeveless and brides tend to keep arms close to the body or locked behind so as to hide underarm waggle. However, this can cause an exactly reverse effect; your arms may look bigger and shoulders wider. So, keep your arms far-flung, though not very far, just enough to offer them a breathing room. Annabel at Annabel Law Productions is not only an extremely talented photographer but also a friend, wishing to help you in any situation. 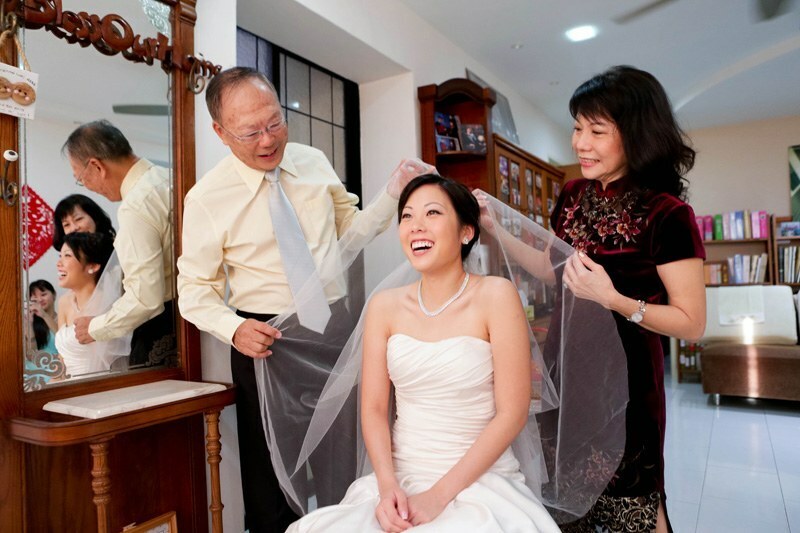 She catches awesome wedding photos by making her clients relaxed with her friendly and helpful nature.